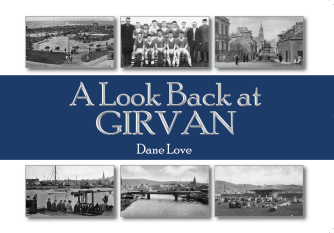 A Look Back at Girvan is available direct from the author's online Bookshop. The changes taking place in Girvan over the years have meant that much of the heritage and history of the town has been lost, and in many cases almost forgotten. This little book takes a fond look back at the town and its parish, with a variety of old pictures and views of streets and places. Not everything has been lost, fortunately, and Girvanites will find much of interest within, sparking conversations and igniting various memories of the old town. I’m sure that you’ll enjoy this look back at Girvan, and perhaps discovering something that you weren’t aware of.